Banna Harbera are officially back from their hiatus and gearing up for the upcoming release of their debut album, Kept In Mind. The five-piece have been sharing updates on the recording of their album since late 2018 and kicked off the new year with a teaser of their new record. 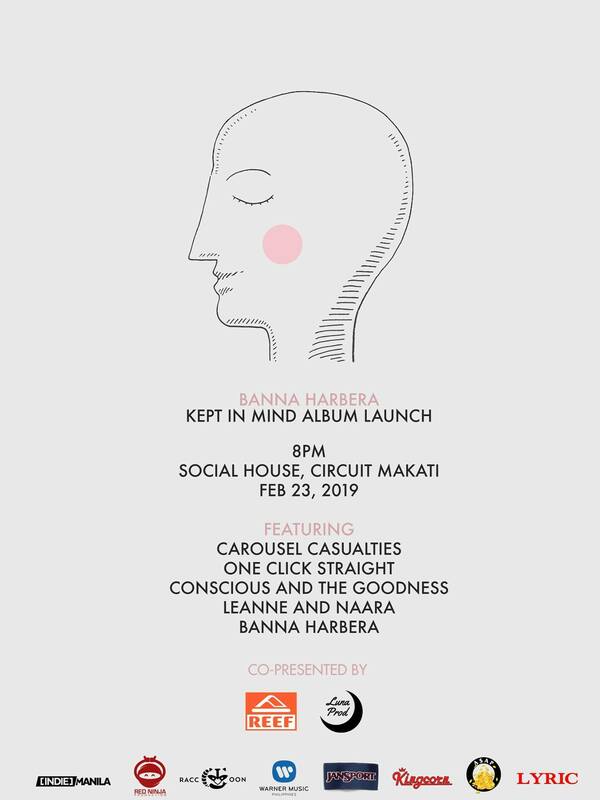 The band is set to release Kept In Mind on digital platforms on February 22, Friday and will celebrate with an official launch on February 23, Saturday at Social House in Makati. Joining the festivities are Carousel Casualties, One Click Straight, Conscious & The Goodness, and Leanne and Naara. 300 PHP gets you in at the door, while 500 PHP gets you into the show, plus a copy of the new album. The first 100 attendees get a discounted entrance fee of 400 PHP. Tickets will be available at the door.